After finishing a candy bar (and sucking every last bit of chocolate off the plastic), you might move to throw the wrapper in the trash. That wrapper will head from your trashcan to the landfill. And there it will stay, for years upon decades upon centuries. However, if you live in Boise, Meridian, Eagle or Garden City, a different destination awaits your treat’s packaging. That’s because these cities are part of a unique, voluntary recycling program. 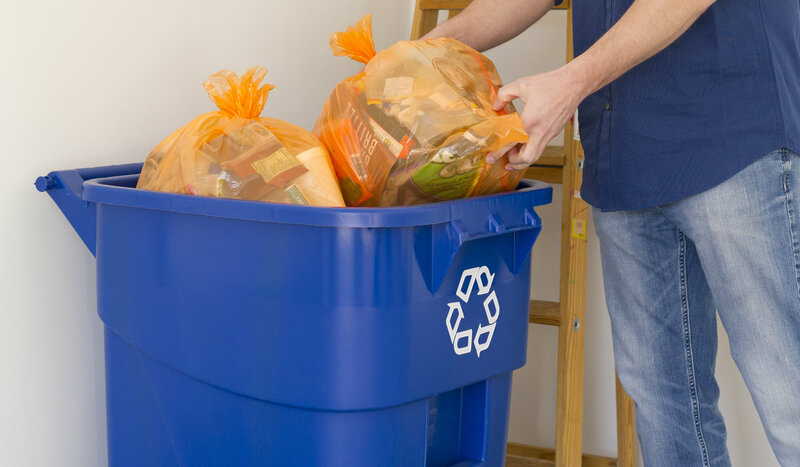 Boise started participating in the Hefty EnergyBag recycling program in spring 2018. The program covers plastics labeled No. 4–7, along with a variety of films and other containers (see EnergyBag Recyclables). “We really heard from the community how important recycling is as a value,” says Haley Falconer, City of Boise environmental manager. 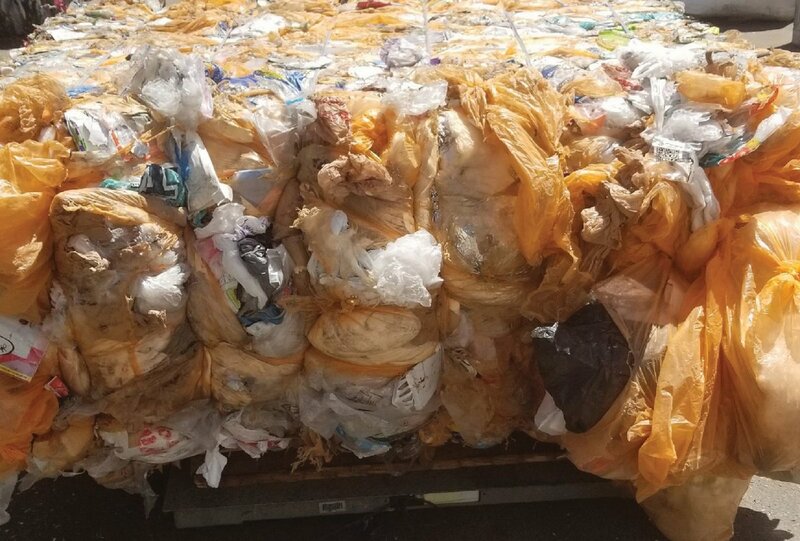 According to the Hefty website, the company even developed a bigger 13-gallon EnergyBag in anticipation of Boiseans collecting large amounts of recyclables. 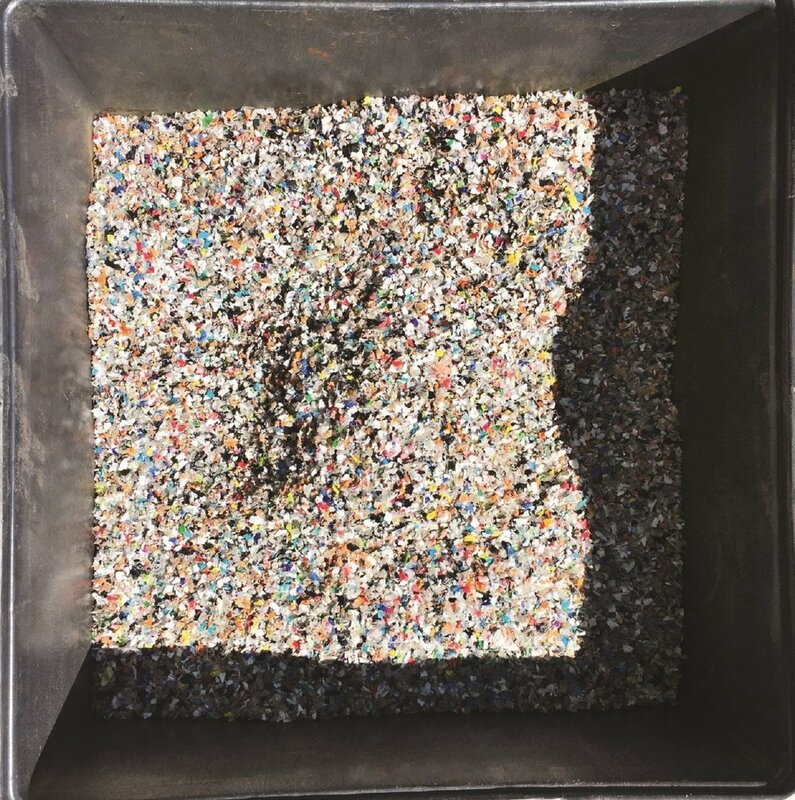 In addition to wanting to recover more plastics than ever before, Boise was also faced with a recycling crisis. 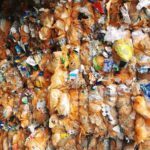 China used to purchase and process many U.S. recyclables. 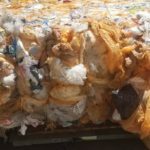 However, in late 2017, the country announced it would stop accepting shipments of certain solid wastes (including plastics No. 3–7). “Finding a solution to that was a priority,” Haley says. That’s when Happy Family Brands stepped in with a partnership offer. It had identified a grant from Dow Packaging and Specialty Plastics and Keep America Beautiful to cover the EnergyBag program. After review, Boise was awarded a two-year, $50,000 grant to start putting EnergyBags in local homes. “The biggest success is turning a crisis into an opportunity,” Haley says. 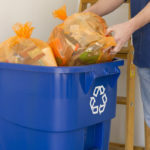 So, what happens to your recyclables? Let’s start off with a common scenario. You come home with a plastic bag full of takeout food. Inside is a plastic fork, a foam container with your pasta, another with your side salad, a single-serve container of salad dressing and a handful of napkins. After eating your meal, you’re faced with a choice: What goes in the recycling after a quick rinse and dry? If you answered everything but the napkins (which should go in the trash after you’ve wiped alfredo sauce off your face), you’re correct. Normally, these items would have gone in the trash as well. The EnergyBag program changes that. 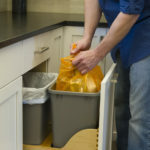 Rather than going straight into the regular recycling bin, however, these items should be stuffed into one of the bright orange plastic bags first. 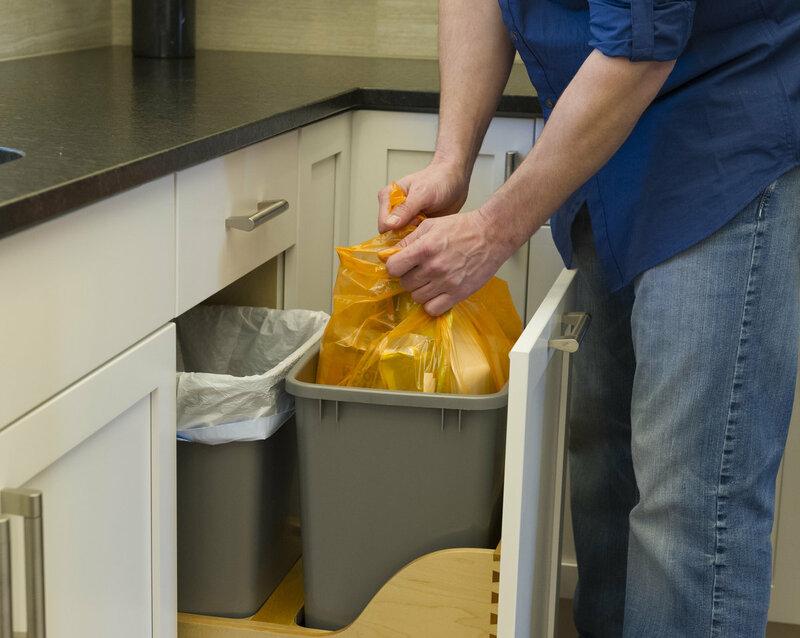 Once you’ve successfully filled up an EnergyBag with clean, dry recyclables, tie it up tight. Put it in your recycling cart and wheel it out to the road for pickup. The journey of your takeout containers and other recyclables has just begun. After being picked up by Republic Service workers, the cart’s contents are taken to Western Recycling in Boise. 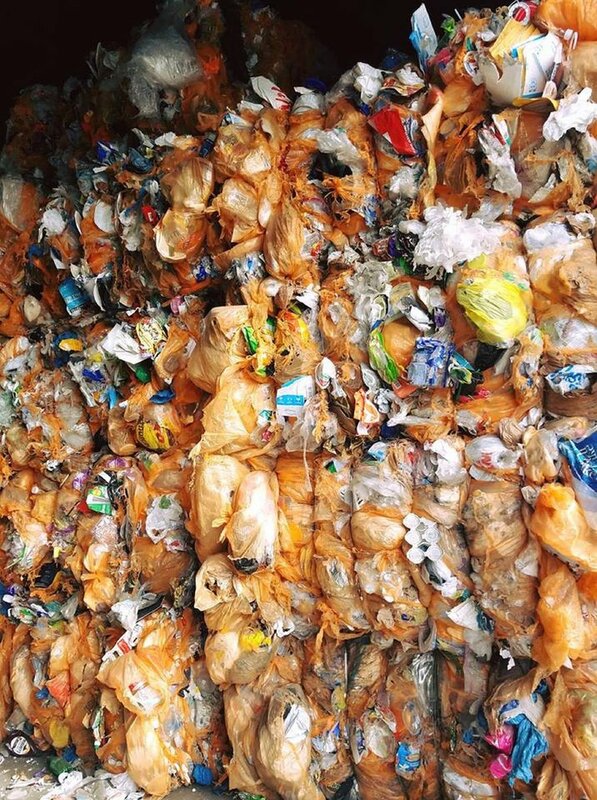 The EnergyBags are sorted out from the rest of the loose recyclables and then baled together. It can take around a month to gather enough bags to ship. From there, the plastics hit the road, en route to a pyrolysis facility. As for the milk jugs and detergent containers (and the rest of the No. 1 and Np. 2 plastics, paper, cardboard and metals), Western Recycling transforms them into a commodity, which they then sell in domestic markets. Where do they end up? Check the packaging of some of your favorite items for phrases like “made with post-consumer material” or “100 percent recycled paperboard.” You could be looking at your former cereal box or Sunday newspaper. And the numbers show the same. Participating Treasure Valley residents have managed to divert roughly 190 tons of materials from the landfill. Haley says that in the same time period the year prior, the city had done less than half of that in plastics recycling. Ready to recycle? Well, as with most rules, there are a few exceptions. Both Haley and City of Boise Communications Coordinator Natalie Monro say one of the most confusing things has been that lightweight No. 1 plastics, like plastic salad boxes and lightweight water bottles, should go in the trash. Wax-coated cups and cartons should also be tossed. No. 3 plastics aren’t accepted for recycling at all (examples include PVC pipe and some children’s toys). 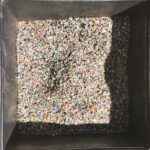 At Renewlogy, a Salt Lake City-based pyrolysis facility, the collected EnergyBag plastics are shredded into tiny pieces. The plastic confetti is funneled into a chemical reformer and then a re-cracker. These two stages of the process shift the plastic into a more basic form. 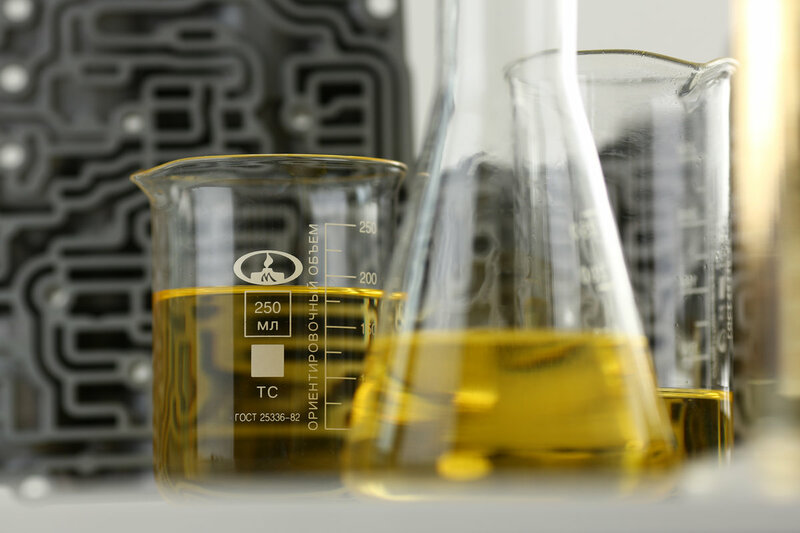 This is done by breaking down the plastic’s long polymer chains into short ones. 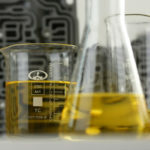 According to the company’s website, even the non-condensable gas produced during the pyrolysis is itself recycled through a heating process. “That’s really the Holy Grail. Don’t accept single-use items,” Natalie says. As the EnergyBag program heads into its second year, keep an eye on your mailbox this spring. The City of Boise will be mailing an EnergyBags voucher in a folded postcard. Currently, the bags can be purchased at Albertsons, but the city is working on more retail options. For more information on what you can recycle, including examples and printable infographics, visit CurbItBoise.org. The website also provides calendars, collection sites and more information on ways you can start reducing, reusing and recycling.